A video that was captured by local residents, and was broadcast by activists of the nonviolent group Youth Coalition Against Settlements, shows Israeli soldiers, in Hebron, in the southern part of the occupied West Bank, kidnapping a nonviolent activist and attacking his mother, who tried to de-arrest him. Eventually the soldiers kidnapped the mother. 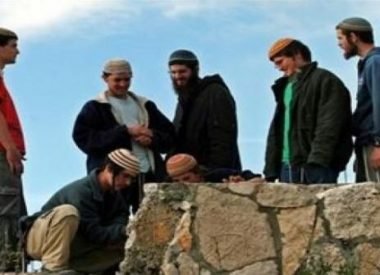 The army fist broke into the home of Abdul-Rahman as-Salayma, 20, in order to arrest him for his nonviolent activities against the illegal Israeli Annexation Wall and settlements. The soldiers took as-Salayma out of his home, and his mother followed the soldiers screaming “my son, I want my son”. The soldiers then gathered around her and assaulted her; she fainted and fell to the ground. The soldiers then brought a plastic chair and sat her on it, lifting her from her arms and feet in a degrading way. Later on, the soldiers cuffed the mother and placed her in a police jeep before driving away. The soldiers also threatened to kidnap a young Palestinian woman who was filming them, telling her that “this is a military operation”, and that if she does not close the door and stop filming, she will be arrested too.